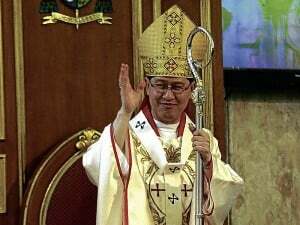 MANILA, Philippines — Described by a highly respected Vatican analyst as the only viable candidate to the papacy from the developing world, Manila Archbishop Luis Antonio Cardinal Tagle admitted on Sunday to the uncertainty of what to expect in the election of a new pope. Speaking at the Gerry Roxas Foundation (GRF) Leaders’ Forum held at the Gateway Suites in Quezon City, Tagle said that having been named to the position of cardinal only two months ago, he still felt new to the position. He said that he has only been archbishop of Manila for more than a year and was in the middle of learning to be a shepherd to the capital when he was named cardinal. “I have only been a cardinal for two months and now I am already embarking on one of the most important duties of a cardinal, which I would admit I still know nothing about,” he told the gathering in Filipino. Tagle added, “I am still reading up on what cardinals really do to elect a new pope,” drawing laughter from the audience. Italian journalist Sandro Magister, described to be a highly respected Vaticanisti (Vatican expert), had written about Tagle’s capability of attracting votes in the conclave to elect Pope Benedict XVI’s successor. In the Magister’s article published on his website, he said that the archbishop of Manila has become “the focus of growing attention” and said that the age of the country’s cardinal at 56 years old would not pose an obstacle to his election to the papacy in the face of Pope Benedict XVI’s abdication due to the complications of old age.